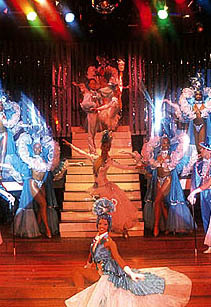 all the cafés and jazz cabarets in Vedado quarter (distance: 1-5 minutes by car) as well as the famous Coppelia ice cream shop. the Rampa avenue. 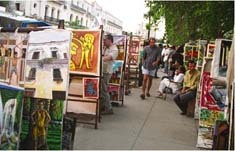 Just around the corner of Casa Sara you will find the all kind of stores in the nearby hotels Habana Riviera, Melia Cohiba and the commercial center Galerias Paseos, where you will be able to buy all kind of things. In case you should prefer to venture into the crafts market area, you will find it just 700 meters away in Malecón and D where you will find Typical Markets of our country with offers very similar to the so called Christmas markets.. The fitness gyms in the nearby hotels, within 5 minutes walking distance, offers beside the usual exercise equipment also an expanded wellness area, which particularly invites for recreation and relaxation. You also have the choice of enjoying the swimming pools in these hotels for a small fee. You will always have the choice to run along the Malecon Habanero and if you get tired, don't worry, home is near. If you yearn the relaxation or maybe also something of "action" after an arduous day, a multiplicity of opportunities that you can consent comfortably you ofrece. The calm afternoon of the typically the way of Havana we recommend the, "Crocodile", "The Vixen and the Cuervo"el Brown Jazz that your doesn't only offer a multiplicity of very well-known pieces of jazz master but also the perfect atmosphere for culturally interested. Another option could be "The Blind Cat" of "The popular ones that offer an extraordinary performance of artists of reknown cuban. If you are looking for something more exciting, we recommend a visit to the Forbidden center of the city I center offering the clubs, bars and discos where you will find something of flavor . The culinary consumption Havana is offering a multiplicity of selected deluxe restaurants and the pleasant places of adventure gastronomy.